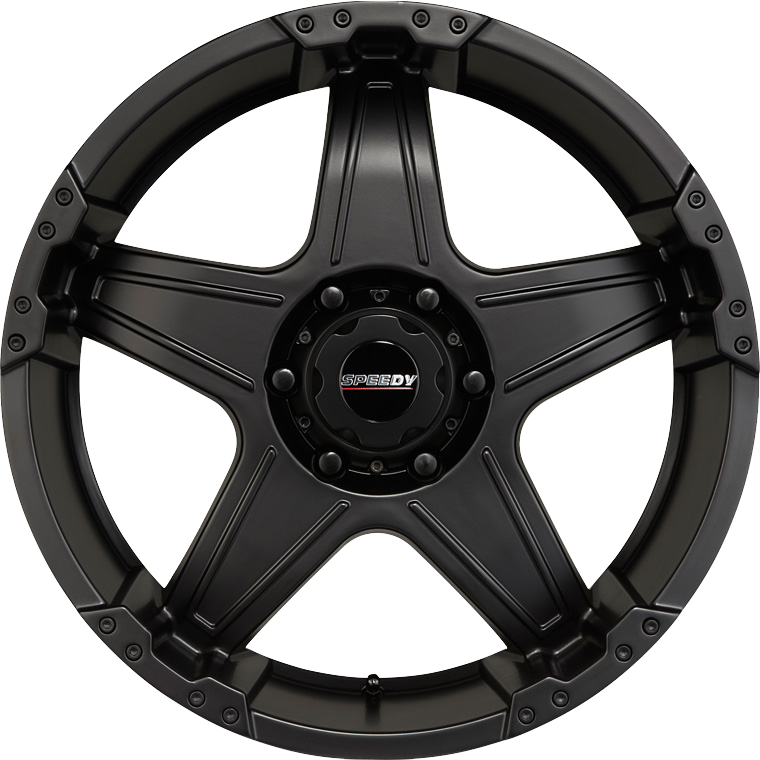 Speedy Spur wheel is a unique blend of 5 spoke passenger wheel styling, combined with a rugged 4WD combination of high offset and load carrying capability. Speedy Spur wheel is a unique blend of 5 spoke passenger wheel styling, combined with a rugged 4WD combination of high offset and load carrying capability. Finished in smooth Satin Black lustre, the contemporary appearance of the Spur is further highlighted by accent casting lines on the face of each spoke and an extra wide outer lip with wide anchor points, to brace the foot of each spoke to the rim section of the wheel.